When you are looking for convenient and useful upgrades to your bathroom our Crosswater Glide II vanity bathroom units have you covered. Available in various finishes, the Bauhaus Glide II offers you classic style in a vanity unit and matching high gloss white cast mineral marble basin. The Crosswater Glide II range comes in three width options to meet the individual needs of your space. 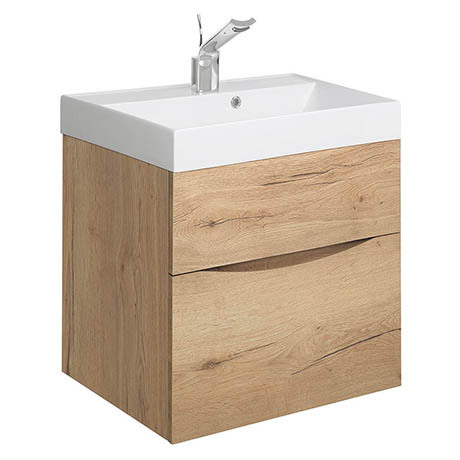 It features silent soft close pull to open vanity doors and a two drawer basin unit. The unit comes supplied with pre-bored single tap hole and overflow outlet.